TECHNO STRAP extrusion range means several models lines, each one with own design, with smallest capacity from 1.400Tons/year up to more than 8.000Tons/year of SUPERSTRAP technology. All lines capable to produce all the strap sizes requested by the market from 4mm up to 32mm respecting the most restricted standard of quality for dimensions, weight, braking load, elongation. SIMA continuous innovation is driven by internal research on top performances solution due to know how on final product and methodologies to treat it and cooperation with the main players in plastic industries for plastic materials/additives improvement and new technologies available like filtering, recycling and V grade enhancement. SIMA PP/PET TECHNO STRAP extrusion line is designed, assembled and tested in house from our engineer team to meet customer expectation and trust. SIMA extrusion, spinning, stretching and winding devices/process is suitable for both PP and PET (100% bottle flakes) plastic strap each type with dedicated parameters and accessories set to suit best performance both in automatic and manual strapping packaging machine. Supported by a users friendly control system, you can lead the highest technology by a lean touch screen that allow a complete production control. One strap, one recipe, one production procedure. Control the process to control the product; this is SIMA way. Raw material treatment, extrusion, stretching, annealing and taking up units; each step impact on the strapping tape quality are managed through a fully computerized control system with man intervention requirements. In-line quality control – In-line strap control system to check quality of the strap. 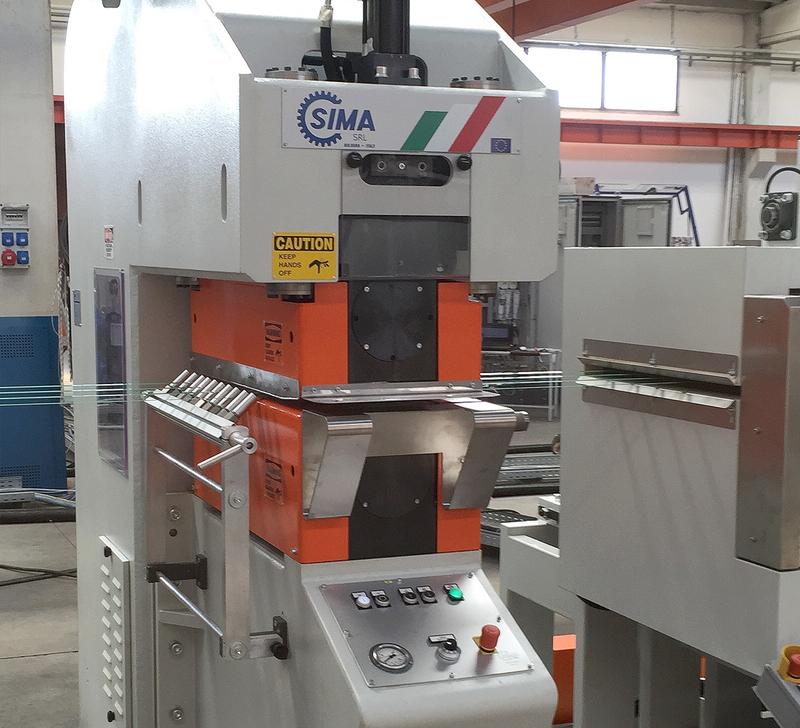 From 1.400 to 8.000 Tons/Year capacity, SIMA strap extrusion lines are delivered in assembling condition ready to produce after one week installation for years and years. From 4,0 to 32,0 mm strapping tape wide range, PP or PET strap can be produced by the same technology to meet different market requirements, changing line set up in few minutes. Comply with all the strictly safety standards, the average of the waste products is very low. Small consumption of spare parts and energy, due to the detailed design of the line. Suitable for parallel winding of plastic strap in line with extrusion, the winder based on program set, can take up strap from 4 up to 32mm width. The VBW basic version can have one or two mandrel allows a quick manual package swap in seconds. 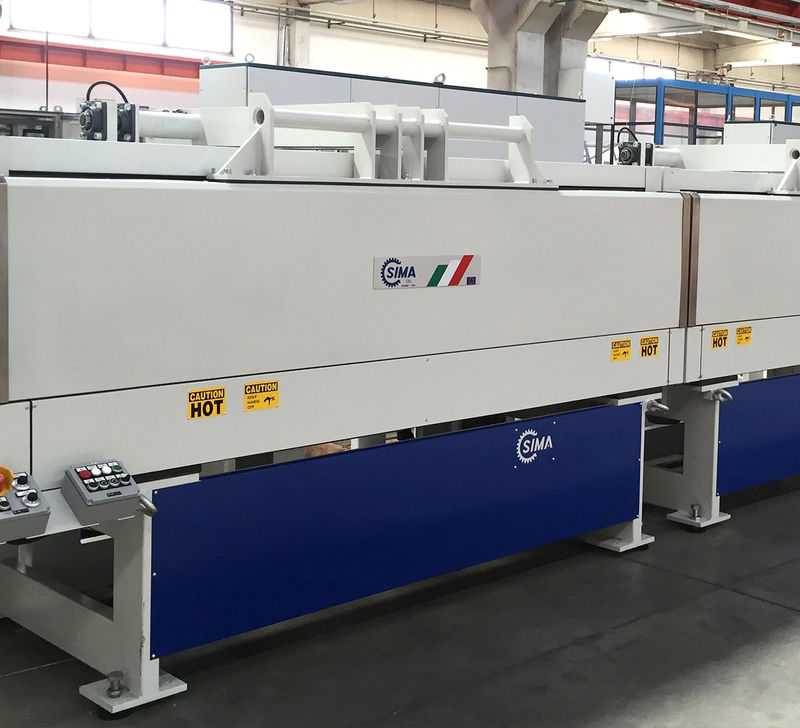 The automatic version VBW A has a modular and compact design for permanent automatic operation in line with extrusion. One the preselected length of package is reached is wrapped by an automatic foil unwinding group. The full bobbin is automatically doffed and a new tube is positioned on the mandrel for new package winding.